This page describes the process used to get a very simple arduino program which can be used to find out if a button is pressed on a train door control panel or if the key for the panel is used. I acquired a door control panel from a demolition yard out of a Plan V (Mat 64) train. I wanted to find out via an arduino if a button was pressed or if the special key was used. This was my first arduino project. The above image shows my workspace. It includes the panel, a breadboard, an arduino nano, the key, a few 3d printed keys and some tools. Also some papers and a fused arduino. The above, very professional, drawing shows a schematic of the front and back side of the panel. The numbers are actually there on the wires in the panel. 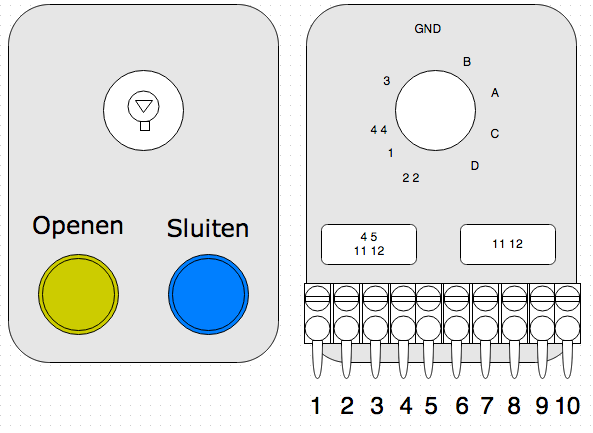 With the help of Juerd and Hans I found out that connectors 4 & 5 got a connection when the “Openen” button was pressed. The key part was a bit more troublesome. A lot of wires were connected to one another, and a few more gave a connection when the key is used. The special key can only turn 45 degrees to the left, so there is only one state to monitor. After some time it seemed that connectors one and three gave a connection when the key was turned. I now had all the states I wanted to monitor. 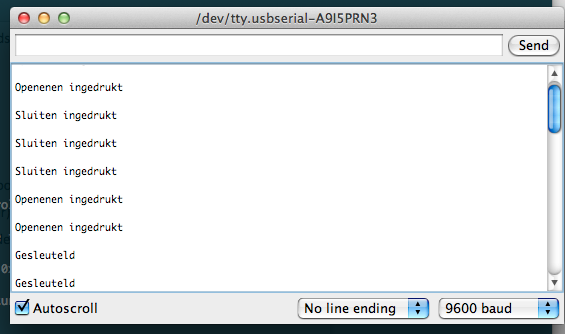 Time to hook up an arduino. However, this printed out random results, instead of the 1 or 0 for the state of the button. The digitalWrite(openPin, HIGH); turns the Pull-up resistor functionality on for that pin. Now I got better results from the arduino. When the Openen button was pressed, it printed out 0, which is exactly what we want. 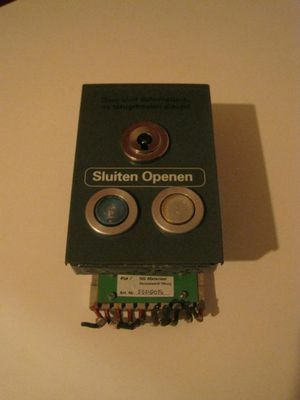 The “Sluiten” knop was a different story. Pins 2 and 6 are always connected, unless the button is pressed. This is a “Normally Closed” circuit (wiki). 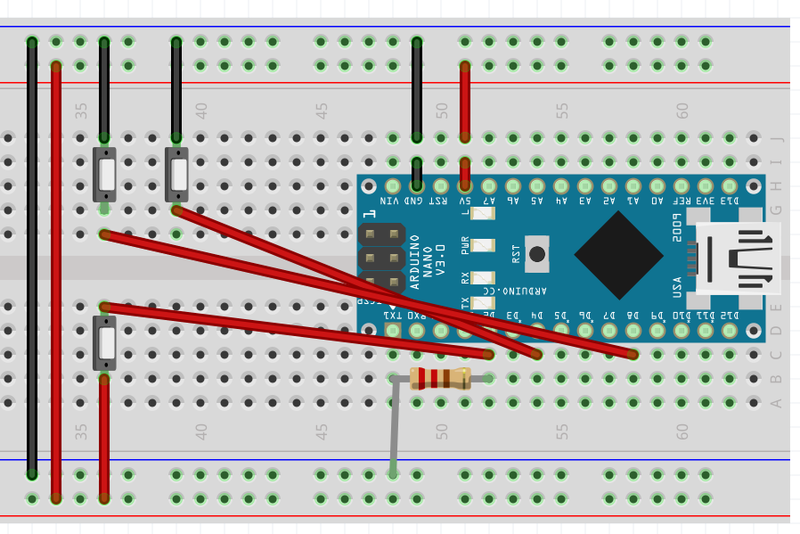 Since the arduino has no built in Pull-down we need to build one on the breadboard. I used a 100KΩ resistor for this. The resistor was plugged in to the breadboard from arduino D2 to GND. A wire from arduino D2 went to connector 2 on the panel and a wire went from 5V on the arduino to connector 6 on the panel. 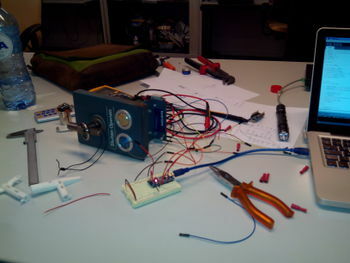 However, when I used the key the power LED on the arduino went out. When the key was turned back the led went back on. After trying this a few times the arduino stoped working. Hans pointed out to me that I fused the arduino. I do not know why these pins fused the arduino, however, they did. I grabbed a new arduino from the vending machine and started beeping with the multimeter for another combination of connectors which triggered when the key was used. Turns out, 9 and 10 did. So again, one wire was hooked up to pin D8 on the arduino and one to the GND. This allows me to reliably measure the three states. The buttons from the panel are on the breadboard there. Plus the LED on the Arduino Nano which turns on when an action is done. Overall this was a very educational experience. I’m still looking for a purpose for the panel, however, I’m sure that will come. // sluiten == 2 & 6, 6 == 5v, 2 == D2. 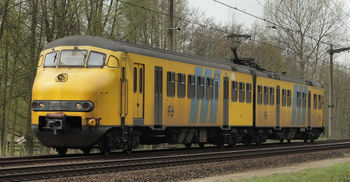 D2 == ook 100 Kh Ohm weerstand naar ground. This page was last modified on 30 March 2014, at 17:15.